In the face of competition from new Android Wear devices such as the LG Watch Urbane, and with the Apple Watch release looming on the horizon, Pebble is looking to keep its smartwatch relevant by adding new features and capabilities. The company’s latest update should be welcomed by all Pebble-owning Android users – it adds official Android Wear notification support. 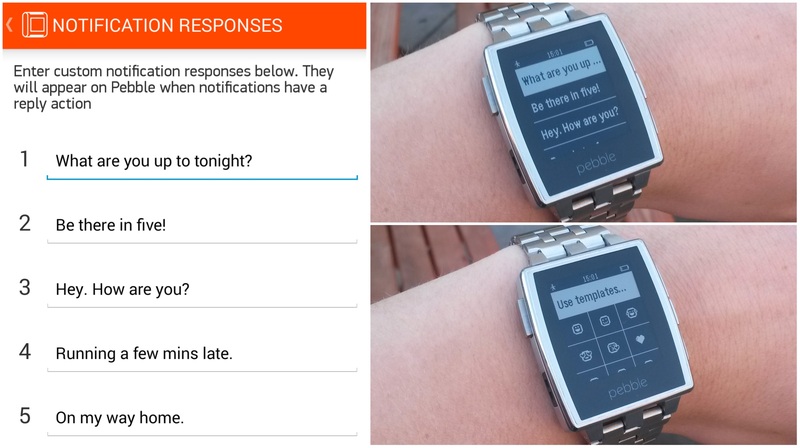 Effectively, if a developer has added Android Wear integration to their app, then you should now be able to use your Pebble smartwatch to act on and reply to any notifications it sends. 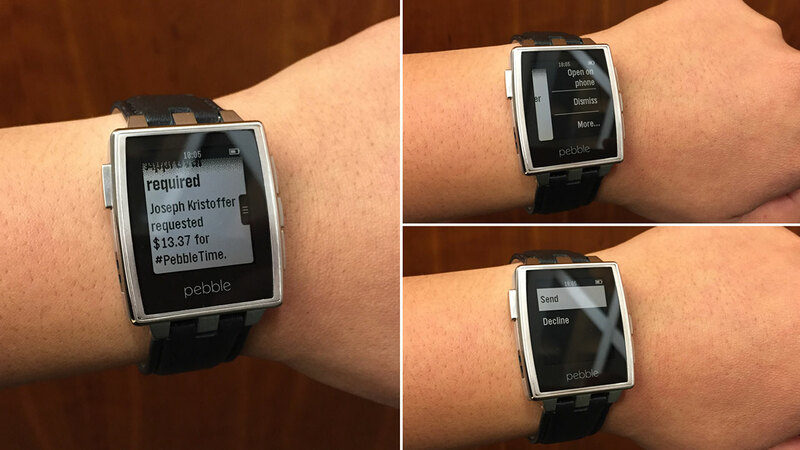 Obviously, the Pebble lacks the touchscreen or voice support found on Android Wear devices, so any responses need to be selected using its buttons. It works with Android smartphones running 4.0 and above. In addition, the update also brings with it a capability that Android Wear devices currently lack – user-defined responses. You can add a total of five custom responses (30 characters max) inside the companion app, which you can then use to reply to SMS messages. To take advantage of the new features, update your Pebble to the latest firmware (version 2.9) and download the latest version of the Pebble Android companion app (version 2.3.0) from the Google Play Store. As somebody who uses a Pebble Steel with an Android smartphone, I’m pleased to see this latest update. I’m not going to say it will stop me switching to an Android Wear smart watch in the future, but it certainly gives me less incentive to make the switch anytime soon. We’d love to hear what you think about this update. You can leave a comment below, or tag us on your social network of choice.